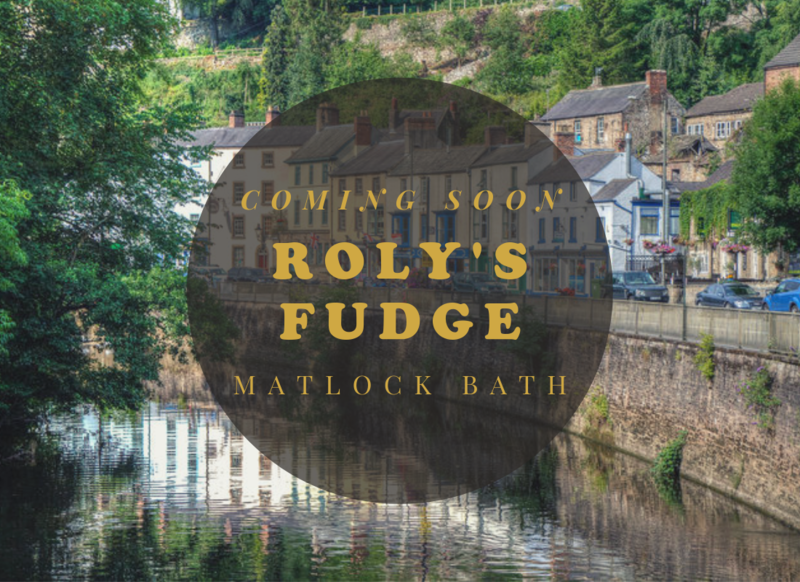 We are excited to announce our newest addition to Roly’s Fudge Pantries will be opening in the next fortnight in Matlock Bath! This beautiful village, situated near the Peak District, has been nicknamed “Little Switzerland” thanks to its alpine scenery which boasts tall rocky walls, wooded hills and lakelands. A visit to this small village will feel like travelling back in time, as it has remained very traditional in its culture and its scenery untouched. Due to its pristine beauty and nearby Peak District, many tourists are attracted to Matlock Bath each year and brings this small village to life. For these reasons, we’re excited to bring Roly’s traditional art of fudge making to Matlock Bath. The pantry will be open through the summer making handmade fudge in the shop window. Owners Jonathan and Elizabeth are the couple behind the newest Roly’s Fudge Pantry. The duo have already been part of the Roly’s Fudge family for several years, running their own successful Roly’s Fudge Pantry in Shrewsbury. Having fallen in love with the lifestyle of a fudge maker, they decided to open a second one. The owners are delighted to cater for everyone, with a range of best-seller fudge flavours in stock including Vanilla Clotted Cream, Butterscotch and Rum ‘n’ Raisin. They will also be stocking Roly’s Fudge Sauce in three different flavours. No vegans or dairy-free customers should have to miss out on crumbly, melt-in-the-mouth fudge – so they will be making Roly’s Dairy-Free Vegan Fudge. All our Dairy-free Vegan Fudge is fully accredited by the Vegan Society too! The shop is set to open in the next fortnight, and we look forward to seeing you soon in Matlock Bath!